Hunting for Exotics in Texas has become extremely popular over the last 20 years, the term exotic refers to any non-native game. Hunting for these animals can be an excellent way to fill up the off-season, or a great addition to any hunt package. Our guides use several techniques to pursue these trophies depending on the species; spot and stalk, still hunting, and even rattling and calling are some of the techniques used. All our exotic hunts are for the largest trophy we can find, there are no additional fees depending on size, we also have access to several ranches other than our own which have herds of species not listed below. If there is an animal you are interested in hunting to complete your trophy room just let us know and we more than likely have some to pursue. Wild hogs are also considered exotic animals and we have tons of them! They can be a blast to hunt with a bow or pistol, since the topography of the ranch allows for a hunter to spot and stalk hogs to close range as long as the wind is in your favor. Hunters may pursue hogs year-round at the ranch, but January through March are ideal times due to cooler weather and the cool season food plots make them much more active during daylight hours. We do not allow night hog hunts on the ranch. 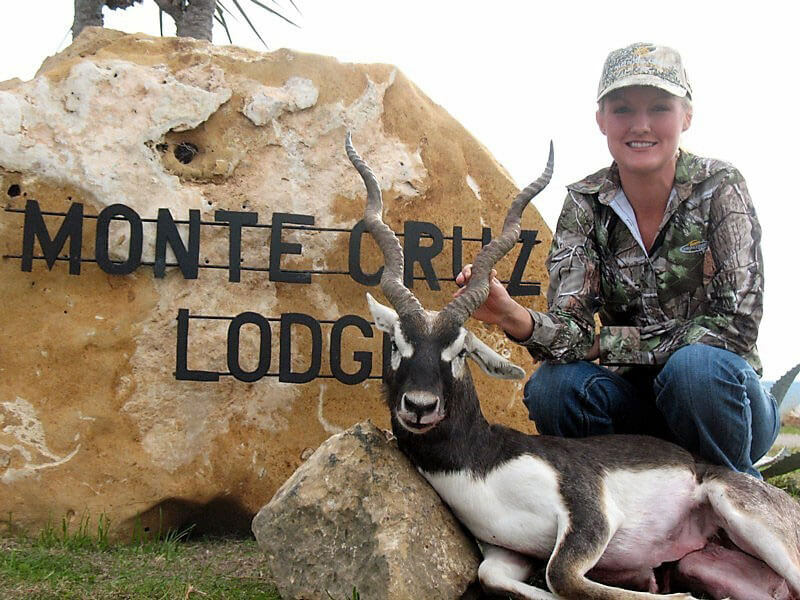 Please visit the Exotic/Boar Gallery page to view recent harvests from Monte Cruz Ranch.